It’s a new month and with it we have a spectrum of colorful goodies at our crafting disposal! 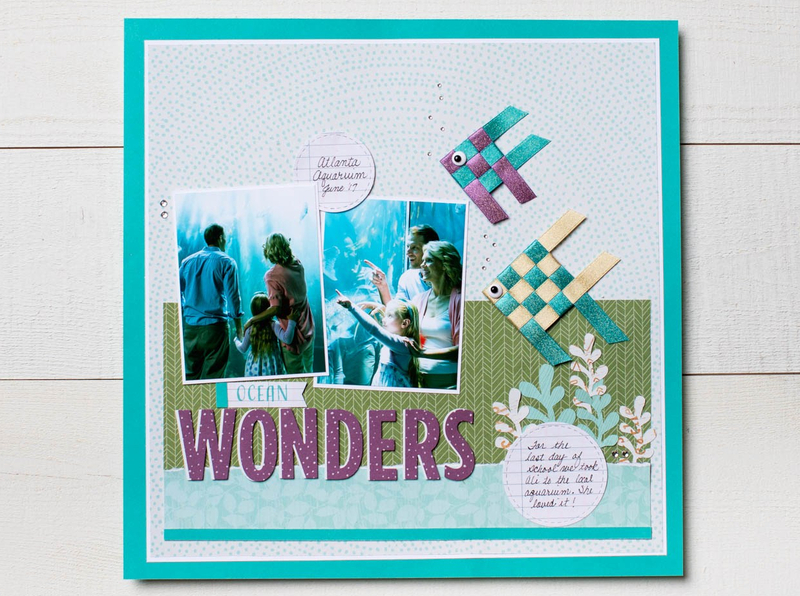 Just for the month of June, we’ve put together custom color coordinated cardstock bundles, are offering individual spools of ribbon from our Fundamentals collections, discounted select accessories, and even created a brand new stamp set, the My Acrylix® Be a Rainbow. For complete details, visit our Create the Rainbow page here. 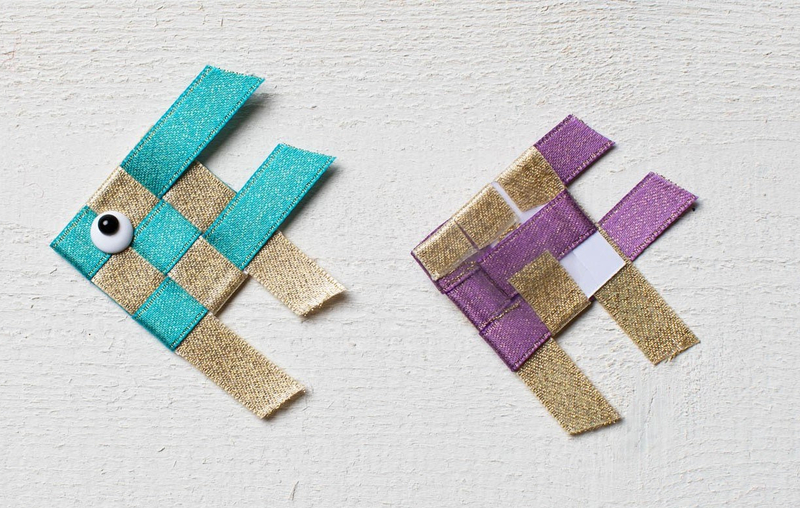 There are so many different ways to use ribbon in crafting. 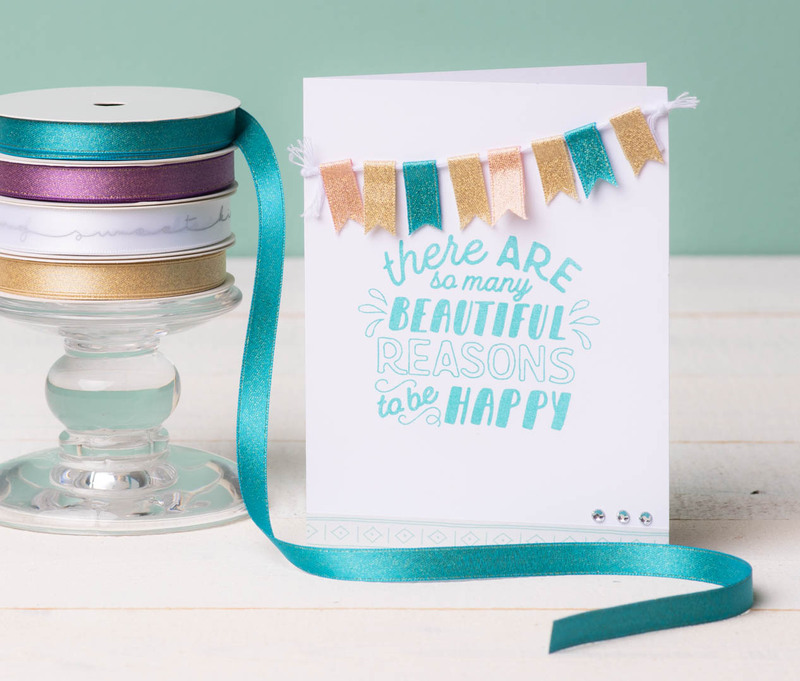 We put together a few fun samples of projects featuring several of the ribbons included in our Create the Rainbow special to get those creative wheels turning, if they aren’t already 🙂 . Take a look and then share with us, in the comments below, how you are using ribbon in your crafts. 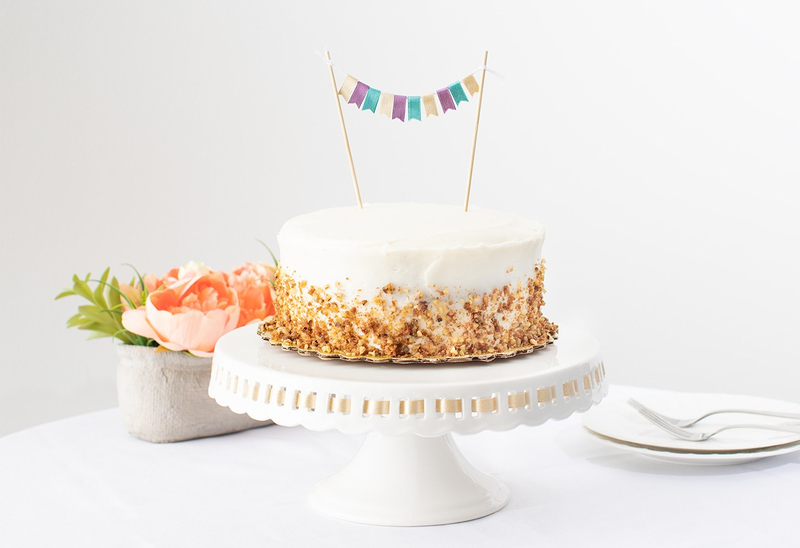 These little banners are easy, cute, and can dress up all sorts of celebrations. 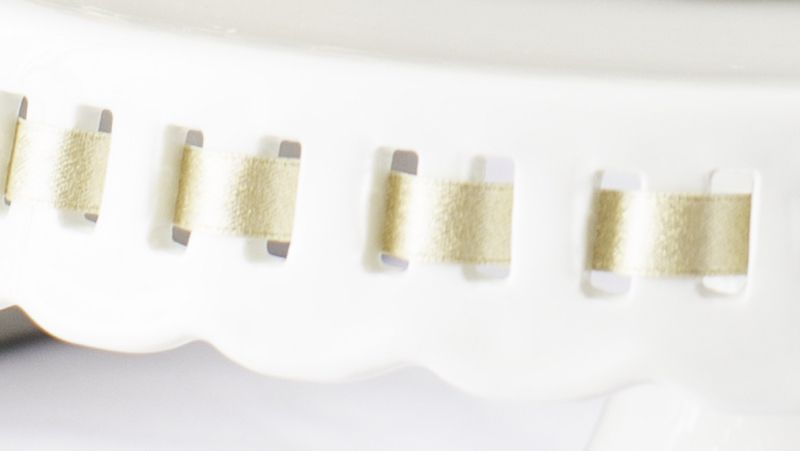 Simply double up the ribbon around a piece of twine, adhere with a glue dot, and dovetail the ends! How fun are these fishies? 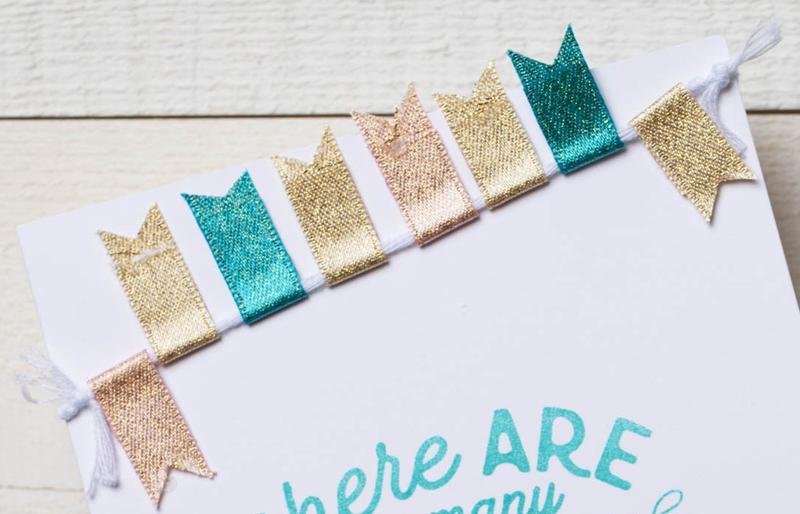 To create them, we wove two different colors of shimmery ribbon around a square of cardstock—even their eyes are fashioned from our adhesive Black & White Dots (also part of our Create the Rainbow sale) ! 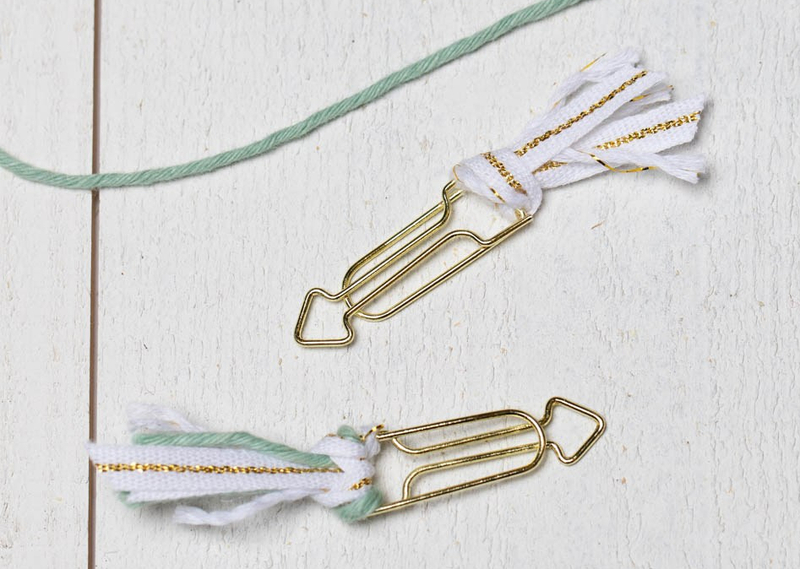 If you’re getting crafty with ribbon, tell us all about it below! We’d love to hear where your creativity is taking you!